placed in a mass grave known as "The Confederate Mound." the 1st of August 1862 for drill and training. Lieutenant Colonel B.G. appearance. The outlaws were killed, captured or scattered." Mountain District, Department of North Carolina and Southern Virginia. at Knoxville and Powder Springs Gap lasted about 10 days. soldiers of the 62nd North Carolina. and the regiment of four hundred and fifty men was commanded by the Major." raiders. A more unblushing falsehood was never penned by living man. without defending their right and reputation." 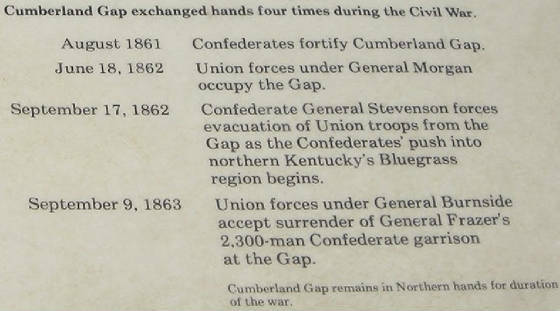 Recommended Reading: Portals to Hell: Military Prisons of the Civil War. Description: The military prisons of the Civil War, which held more than four hundred thousand soldiers and caused the deaths of fifty-six thousand men, have been nearly forgotten. Lonnie R. Speer has now brought to life the least-known men in the great struggle between the Union and the Confederacy, using their own words and observations as they endured a true “hell on earth.” Drawing on scores of previously unpublished firsthand accounts, Portals to Hell presents the prisoners’ experiences in great detail and from an impartial perspective. The first comprehensive study of all major prisons of both the North and the South, this chronicle analyzes the many complexities of the relationships among prisoners, guards, commandants, and government leaders. It is available in paperback and hardcover. Groce goes to great lengths to expose the vile treatment of the Region’s defeated Confederates during the Reconstruction. Numerous maps, pictures, and tables underscore the research. Fisher portrays in grim detail the brutality and ruthlessness employed not only by partisan bands but also by Confederate and Union troops under constant threat of guerrilla attack and government officials frustrated by unstinting dissent. He demonstrates that, generally, guerrillas were neither the romantic, daring figures of Civil War legend nor mere thieves and murderers, but rather were ordinary men and women who fought to live under a government of their choice and to drive out those who did not share their views.